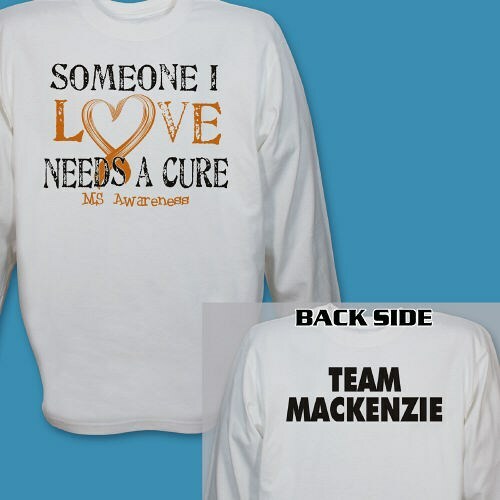 Support any loved one battling MS with this great Personalized Multiples Sclerosis Awareness Long Sleeve Shirt. Our Multiple Sclerosis shirts are great for any Multiple Sclerosis Walk Event where you can show your support and help raise awareness. Very satisfied...looks just like the picture and a good value!